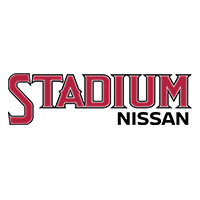 The Stadium Nissan Parts Department maintains a comprehensive inventory of high quality, genuine, OEM parts. Our friendly and highly knowledgeable staff is here to answer your parts inquiries. If for some reason we don’t have a part that you are searching for, we will be happy to order it and get it for you, within a timely manner. If you already know the name or inventory number of your part you need, please feel free to use our online form to place an order. Otherwise, call us at (714) 923-5140 and talk to a knowledgeable Parts Department Specialist that will help you determine and find the right parts you need. Or visit our e-store to help you make finding the right part easy. $6.25 + tax Genuine Nissan Oil Filters with this Nissan parts coupon at Stadium Nissan in Orange, CA. *Over-the-counter purchase only. Installation not included. Cannot be combined with other offers. Must present coupon at time of purchase. Nissans only. See Parts Advisor for details. *Offers cannot be combined. See your service adviser for details. any purchases done over the front counter.